mental illnesses, such as suicide and disability. ANN ARBOR, Mich. — Parents often bring their school-aged children to check-ups or sick visits armed with questions. What should he put on that rash? What about her cough that won’t go away? But when children’s temper tantrums or mood swings are beyond the norm, or they are overwhelmed by homework organization, do parents speak up? Today’s University of Michigan C.S. 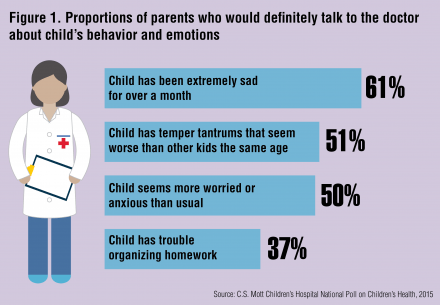 Mott Children’s Hospital National Poll on Children’s Health finds that many parents of children age 5-17 wouldn’t discuss behavioral or emotional issues that could be signs of potential health problems with their doctors. While more than 60 percent of parents definitely would talk to the doctor if their child was extremely sad for more than a month, only half would discuss temper tantrums that seemed worse than peers or if their child seemed more worried or anxious than normal. Just 37 percent would tell the doctor if their child had trouble organizing homework. The most common reason for not sharing these details with their children’s doctors? Nearly half of parents believed that these simply were not medical problems. Another 40 percent of parents say they would rather handle it themselves and about 30 percent would rather speak to someone other than a doctor. “Behavioral health and emotional health are closely tied to a child’s physical health, well-being and development, but our findings suggest that we are often missing the boat in catching issues early,” says Sarah J. Clark, M.P.H., associate director of the National Poll on Children’s Health and associate research scientist in the University of Michigan Department of Pediatrics. New research shows that infections can impair your cognitive ability measured on an IQ scale. The study is the largest of its kind to date, and it shows a clear correlation between infection levels and impaired cognition. “We can see that the brain is affected by all types of infections. Therefore, it is important that more research is conducted into the mechanisms which lie behind the connection between a person’s immune system and mental health,” says Michael Eriksen Benrós. He hopes that learning more about this connection will help to prevent the impairment of people’s mental health and improve future treatment. March 26, 2015 — Researchers atColumbia University’s Mailman School of Public Health analyzed the results of the Oregon Health Experiment, where eligible uninsured individuals were randomly assigned Medicaid or to stay with their current care. Considered controversial because the experiment found no measurable gains for physical health it did reveal benefits for mental health, financial wellbeing, and preventive screening. In terms of quality-adjusted life years, the researchers showed that Medicaid is an excellent value—a $62,000 gain in quality-adjusted life years. Study findings are online in the American Journal of Public Health. Major rethink in order for some of us, including me? Or is the jury still out, so to speak. Perhaps a major rethink of some substances in light of the emerging role of personalized medicine. Personal flashback to 1979 and Peace Corps training in Nashville TN. We were housed in motel rooms during our 1 1/2 month stateside training. One evening I returned to my room, where my two roommates were lounging. One told me the other was tripping on LSD (it had come to her on the back of the postage stamp from a mailed letter from a friend). Well, I about lost it, I had smoked (but not inhaled!) some marijuana once, but my perception of LSD was that it, well, took control of you and made you do things you wouldn’t normally do. The other roommate told me I just had to accept it. I said I didn’t have to and left the room for a few others and hung out with other volunteers. I was well, a bit scared that if the roommate was caught or reported, I could get kicked out of the Peace Corps program. Well, we never talked about the LSD, and had about 3 weeks to go in the program. And we all managed to get along fairly well after this incident. Stayed home while I attended college, so I guess this was a version of college roommate “drama”. U.S. adults with a history of using some nonaddictive psychedelic drugs had reduced likelihood of psychological distress and suicidal thoughts, plans, and attempts, according to data from a nationwide survey. While these psychedelic drugs are illegal, a Johns Hopkins researcher and study author recommends reconsidering their status, as they may be useful in treating depression. Some people have serious adverse reactions to these drugs, which may not stand out in the survey data because they are less numerous than positive outcomes. The observational nature of the study cannot definitively show that psychedelics caused these effects, Johnson says, because those who chose to use psychedelics may have been psychologically healthier before using these drugs. However, the results probably reflect a benefit from psychedelics — the study controlled for many relevant variables and found that, as the researchers expected, other drugs assessed in the study were linked to increased harms, he says. The use of nonaddictive psychedelic drugs may exacerbate schizophrenia or other psychotic disorders and can sometimes elicit feelings of anxiety, fear, panic and paranoia, which can lead to dangerous behavior, Johnson says. But these instances of individual harm, while serious, may not stand out in the survey data because they occur less often than the positive outcomes that some people experience. “Our general societal impression of these drugs is they make people go crazy or are associated with psychological harm, but our data point to the potential psychological benefits from these drugs,” he says. Current research at Johns Hopkins and several other universities is examining the therapeutic potential of one of the psychedelics, psilocybin, when administered in carefully controlled, monitored medical studies. The use of psychedelics, such as LSD and magic mushrooms, does not increase a person’s risk of developing mental health problems, according to an analysis of information from more than 135,000 randomly chosen people, including 19,000 people who had used psychedelics. The results are published today in Journal of Psychopharmacology. Clinical psychologist Pål-&Ostroke;rjan Johansen (http://www.EmmaSofia.org) and neuroscientist Teri Krebs (Norwegian University of Science and Technology) used data from the US National Health Survey (2008-2011) to study the relationship between psychedelic drug use and psychological distress, depression, anxiety, suicidal thoughts, plans, and attempts. The researchers found no link. Johansen and Krebs previous population study, which used data from 2001-2004, also failed to find evidence for a link between psychedelic use and mental health problems. “Over 30 million US adults have tried psychedelics and there just is not much evidence of health problems,” says Johansen. “Drug experts consistently rank LSD and psilocybin mushrooms as much less harmful to the individual user and to society compared to alcohol and other controlled substances,” adds Krebs. In contrast to alcohol, psychedelics are not addictive. Johansen and Krebs found that, on a number of measures, the use of psychedelic drugs is correlated with fewer mental health problems. “Many people report deeply meaningful experiences and lasting beneficial effects from using psychedelics,” says Krebs. However, “Given the design of our study, we cannot exclude the possibility that use of psychedelics might have a negative effect on mental health for some individuals or groups, perhaps counterbalanced at a population level by a positive effect on mental health in others,” adds Johansen. [Press release] What makes some women able to resist or recover psychologically from assault-related trauma? In a study of 159 women who had been exposed to at least one assault-related potentially traumatic event, 30% developed major depressive disorder, which may be attributed to self-blame common to survivors of assault. Fewer women (21%) developed chronic posttraumatic stress disorder. Mastery–the degree to which an individual perceives control and influence over life circumstances–and social support were most prevalent in women who did not develop a trauma-related psychiatric disorder after assault exposure, while mastery and posttraumatic growth were related to psychiatric recovery. These factors were less established in women with a current psychiatric disorder. Among other issues, this is definitely a mental health concern. 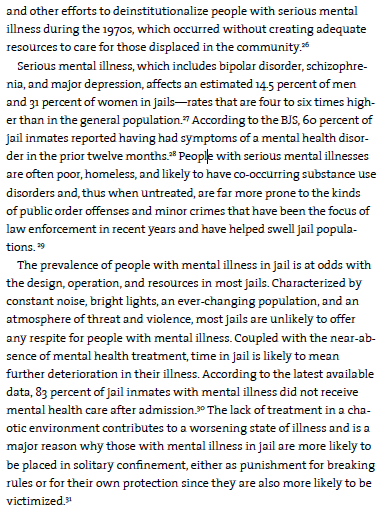 As quoted above, Serious mental illness affects men and women in jail at rates four to six times higher in the general population. Researchers at the Research Center Translational Neurosciences of Johannes Gutenberg University Mainz (JGU) in Germany have advanced a generalized concept as the basis for future studies of mental resilience. Their new approach is based on a mechanistic theory which takes as its starting point the appraisals made by the brain in response to exposure to stressful or threatening situations. Previously social, psychological, and genetic factors were in the foreground of resilience research. The Mainz-based team has published its conclusions in the renowned journal Behavioral and Brain Sciences. Stress, traumatic events, and difficult life situations play a significant role in the development of many mental illnesses, such as depression, anxiety, addiction. However, not everyone exposed to such circumstances develops a psychological disorder as a result. Every person has a greater or lesser mental stabilizing capacity and this inherent potential is called ‘resilience’ by psychologists. Resilience helps to effectively master challenges, stress, and difficult situations, thus maintaining mental health. The fact that some individuals either develop only short -term problems or do not become ill at all on experiencing major psychological or physical pressures suggests that there are certain protective mechanisms – in other words, defensive, self-healing processes – which can prevent the development of stress-related illnesses. The core concern of the Mainz team of researchers is to identify these mechanisms. By means of a thorough review and analysis of the results of previous studies of and investigations into the subject of resilience, they were able to identify a common principle that can be used as a general basis for future studies of resilience. In order to achieve this, the researchers combined various parameters and research concepts – from psychological and social approaches to the results of genetic and even neurobiological investigations. “To date, research into resilience has tended to take into account a very extensive range of social, psychological, and even genetic factors that positively influence mental flexibility, such as social support, certain personality traits, and typical behavior patterns,” explained Professor Raffael Kalisch, one of the authors of the current publication and the director of the Neuroimaging Center, a central research platform of the Mainz University Medical Center and the Research Center on Translational Neurosciences. “We wondered whether there might be a common denominator behind all of these individual approaches and so we systematically examined various examples. As a result, in our new hypothesis we focus less on the already well-known social, psychological, or genetic factors and much more on cognitive processes happening in the brain. We thus consider that the appropriate way forward is to determine how the brain assesses each situation or stimulus. It is quite possibly the positive evaluation of potentially aversive stimuli that is the central mechanism which ultimately determines an individual’s level of resilience. 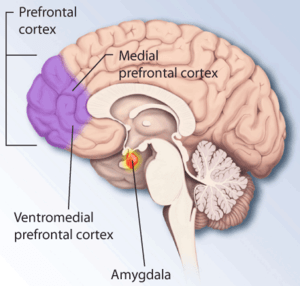 The many already identified factors only impact on resilience indirectly by influencing the way the brain assesses a certain situation.” Assuming this theory is correct and it is the mental processes of evaluation that are of central relevance, this would mean that it is not necessarily the threatening situations or stimuli that decide whether stress develops but rather the manner in which the individual appraises the situation. A person who tends to more positively evaluate such factors would be protected against stress-related illnesses over the long term because the frequency and degree of stress reactions in that person would be reduced. The Mainz-based researchers call their new mechanistic hypothesis ‘Positive Appraisal Style Theory of Resilience’ (PASTOR). School health & wellness news roundup: Week of Jan. 26, 2015. A new report from the Substance Abuse and Mental Health Services Administration (SAMHSA) illuminates important trends — many positive — in Americans’ behavioral health, both nationally and on a state-by-state basis. SAMHSA’s new report, the “National Behavioral Health Barometer” (Barometer), provides data about key aspects of behavioral healthcare issues affecting American communities including rates of serious mental illness, suicidal thoughts, substance use, underage drinking, and the percentages of those who seek treatment for these disorders. The Barometer shows this data at the national level, and for each of the 50 states and the District of Columbia. The Barometer indicates that the behavioral health of our nation is improving in some areas, particularly among adolescents. 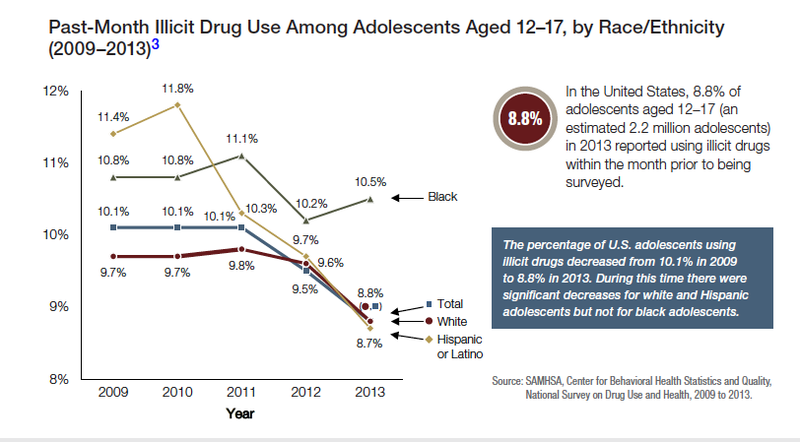 For example, past month use of both illicit drugs and cigarettes has fallen for youth ages 12-17 from 2009 to 2013 (from 10.1 percent to 8.8 percent for illicit drugs and 9.0 percent to 5.6 percent for cigarettes). Past month binge drinking among children ages 12-17 has also fallen from 2009 to 2013 (from 8.9 percent to 6.2 percent). The Barometer also shows more people are getting the help they need in some crucial areas. 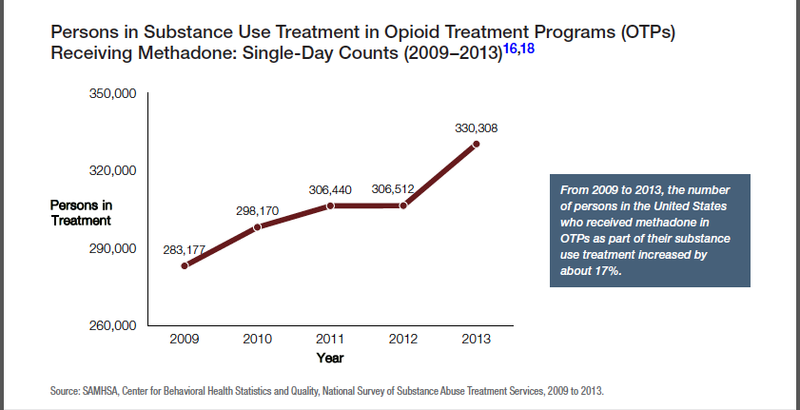 The number of people receiving treatment for a substance use problem has increased six percent from 2009 to 2013. It also shows that the level of adults experiencing serious mental illness who received treatment rose from 62.9 percent in 2012 to 68.5 percent in 2013. The data in the Barometer is drawn from various federal surveys and provides both a snapshot of the current status of behavioral health nationally and by state, and trend data on some of these key behavioral health issues over time. The findings will be enormously helpful to decision makers at all levels who are seeking to reduce the impact of substance abuse and mental illness on America’s communities. The Barometer also provides analyses by gender, age group and race/ethnicity, where possible, to further help public health authorities more effectively identify and address behavioral health issues occurring within their communities, and to serve as a basis for tracking and addressing behavioral health disparities. For the first time, the Barometer provides analyses broken down by poverty level (above or below) and health insurance status. This data can help provide researchers, policy makers, public health authorities and others a better understanding of how income and insurance coverage affect access and utilization of behavioral healthcare services. To view and download copies of the national or any state Behavioral Health Barometer, please visit the SAMHSA web site at http://www.samhsa.gov/data/browse-report-document-type?tab=46. The Substance Abuse and Mental Health Services Administration (SAMHSA) is the agency within the U.S. Department of Health and Human Services (DHHS) that leads public health efforts to advance the behavioral health of the nation. SAMHSA’s mission is to reduce the impact of substance abuse and mental illness on America’s communities. Classic psychedelic use protective with regard to psychological distress and suicidality — ScienceDaily. Summary:Classic psychedelics, such as LSD, psilocybin mushrooms and mescaline, previously have been shown to occasion lasting improvements in mental health. But researchers, through a new study, wanted to advance the existing research and determine whether classic psychedelics might be protective with regard to suicidal thoughts and behaviors. Classic psychedelics, such as LSD, psilocybin mushrooms and mescaline, previously have been shown to occasion lasting improvements in mental health. But researchers led by University of Alabama at Birmingham School of Public Health investigators wanted to advance the existing research and determine whether classic psychedelics might be protective with regard to suicidal thoughts and behaviors. Approximately 30,000 lives in the United States are claimed by suicide every year, and more than 90 percent of victims have been diagnosed with mental illness, according to the National Alliance on Mental Illness. Using data from more than 190,000 respondents of the National Survey on Drug Use and Health from 2008-2012, the researchers found that those who reported ever having used a classic psychedelic drug in their lifetime had a decreased likelihood of psychological distress in the past month, and decreased suicidal thinking, planning and attempts in the past year. Hendricks says the take-home message from this study is that classic psychedelics may hold great promise in the prevention of suicide and evaluating the therapeutic effectiveness of classic psychedelics should be a priority for future research. Could Psychedelics Be An Effective Suicide Prevention Measure? Imprisonment and Public Health | thefeverblog. Mass incarceration in the United States goes beyond the logistical issues of overcrowded prisons. A shallow mindset wouldn’t identify the connection between mass incarceration and public health, but it’s prevalent and significance is being recognized. An article published in the New York Times briefly discusses the impact mass incarceration has on public health. It touches on a report published by the Vera Institute of Justice, which is an organization that focuses on making justice systems fairer through research and innovation. Most people in prisons come from impoverished communities, and therefore have low health-status. Specifically, people in prisons have higher rates of chronic disease, mental illness, and substance abuse. But that’s really the obvious part of the mass incarceration-public health relationship. Overcrowding exacerbates health problems, especially communicable diseases such as flu and other viral infections. In a previous post, I shared how social reform in Russia led to mass incarceration and in turn one of the largest outbreaks of tuberculosis in history. Mental illness and substance abuse are major problems in jails, and the problem isn’t being addressed adequately. Although over 45% of incarcerated people have a mental illness and over 68% have substance abuse issues, only 15% receive proper treatment. But that’s not even the real problem. [My emphasis] Our justice system is focused on penalizing, so vulnerable people coming out of prison are unable to receive any assistance because their actions have removed their eligibility. On first glance, the conservative argument would be that felons shouldn’t be privy to housing, medical, and financial assistance. But the whole picture has to be taken into consideration. Families can be easily torn apart by a family member being incarcerated, especially when parents are taken away from children. But that’s not even the real problem. Our justice system is focused on penalizing, so vulnerable people coming out of prison are unable to receive any assistance because their actions have removed their eligibility. On first glance, the conservative argument would be that felons shouldn’t be privy to housing, medical, and financial assistance. But the whole picture has to be taken into consideration. Families can be easily torn apart by a family member being incarcerated, especially when parents are taken away from children. Suicides and violence are also common in prisons. In the Vera Institute study it was found that 1/3 of deaths in prisons are due to suicide. 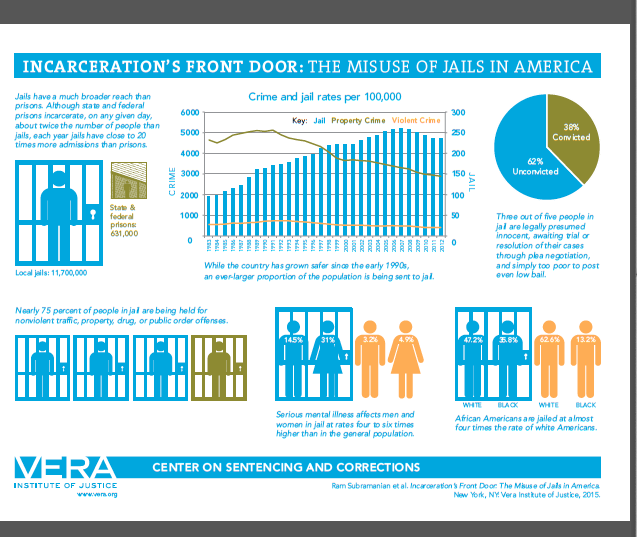 Everything considered, mass incarceration is an epidemic and it’s public health ramifications are significant. The justice system in the United States needs to work with public health agencies to improve services, education, and awareness in prisons. The system needs to consider cases of penalizing on an individual by individual basis when evaluating eligibility for financial, housing, and medical assistance. From the 8 December 2014 EurkAlert! Donald Trump’s ego may be the size of his financial empire, but that doesn’t mean he’s the picture of mental health. The same can be said about the self-esteem of people who are living from paycheck to paycheck, or unemployed. New research from the University of California, Berkeley, underscores this mind-wallet connection. UC Berkeley researchers have linked inflated or deflated feelings of self-worth to such afflictions as bipolar disorder, narcissistic personality disorder, anxiety and depression, providing yet more evidence that the widening gulf between rich and poor can be bad for your health. “We found that it is important to consider the motivation to pursue power, beliefs about how much power one has attained, pro-social and aggressive strategies for attaining power, and emotions related to attaining power,” said Sheri Johnson, a UC Berkeley psychologist and senior author of the study published in the journal Psychology and Psychotherapy: Theory, Research and Practice. In a study of more than 600 young men and women conducted at UC Berkeley, researchers concluded that one’s perceived social status – or lack thereof – is at the heart of a wide range of mental illnesses. The findings make a strong case for assessing such traits as “ruthless ambition,” “discomfort with leadership” and “hubristic pride” to understand psychopathologies. Specifically, Johnson and fellow researchers Eliot Tang-Smith of the University of Miami and Stephen Chen of Wellesley College looked at how study participants fit into the “dominance behavioral system,” a construct in which humans and other mammals assess their place in the social hierarchy and respond accordingly to promote cooperation and avoid conflict and aggression. The concept is rooted in the evolutionary principle that dominant mammals gain easier access to resources for the sake of reproductive success and the survival of the species. Studies have long established that feelings of powerlessness and helplessness weaken the immune system, making one more vulnerable to physical and mental ailments. Conversely, an inflated sense of power is among the behaviors associated with bipolar disorder and narcissistic personality disorder, which can be both personally and socially corrosive. New approaches needed for people with serious mental illnesses in criminal justice system — ScienceDaily. esponding to the large number of people with serious mental illnesses in the criminal justice system will require more than mental health services, according to a new report. In many ways, the criminal justice system is the largest provider of mental health services in the country. Estimates vary, but previous research has found that about 14 percent of persons in the criminal justice system have a serious mental illness, and that number is as high as 31 percent for female inmates. Researchers are defining serious mental illnesses to include such things as schizophrenia, bipolar spectrum disorders and major depressive disorders. “It has been assumed that untreated symptoms of mental illness caused criminal justice involvement, but now we’re seeing that there is little evidence to support that claim,” said Matthew Epperson, assistant professor at the University of Chicago School of Social Service Administration. Specialized interventions for people with mental illness in the criminal justice system have been developed over the past 20 years, such as mental health courts and jail diversion programs, Epperson said. National Prevention Week is a SAMHSA-supported annual health observance dedicated to increasing public awareness of, and action around, substance abuse and mental health issues. National Prevention Week 2014 is about Our Lives. Our Health. Our Future. We’ll be highlighting the important role each of us has in maintaining a healthy life and ensuring a productive future. There are many ways to make a difference. Explore the National Prevention Week website to learn more about how you can get involved, from planning a community event to participating in the “I Choose” Project. Learn more about National Prevention Week. Negative emotions people may have suffered as young adults can have a lasting grip on their couple relationships, well into middle age, research demonstrates. The study followed 341 people for 25 years, and found that negative emotions they may have suffered as young adults can have a lasting grip on their couple relationships, well into middle age. The fact that depression and anger experienced during the teen years clung to people, even through major life events such as child-rearing, marriages and careers was surprising, researchers note. [Report] Is Violent Radicalisation Associated with Poverty, Migration, Poor Self-Reported Health and Common Mental Disorders? Doctors, lawyers and criminal justice agencies need methods to assess vulnerability to violent radicalization. In synergy, public health interventions aim to prevent the emergence of risk behaviours as well as prevent and treat new illness events. This paper describes a new method of assessing vulnerability to violent radicalization, and then investigates the role of previously reported causes, including poor self-reported health, anxiety and depression, adverse life events, poverty, and migration and socio-political factors. The aim is to identify foci for preventive intervention. Dalai Lama: On Science and Emotional Health. The Dalai Lama, the Nobel Peace Prize winner and exiled spiritual leader of Buddhism in Tibet, discussed his admiration for scientists and made some interesting remarks about emotional health during a recent speech at the National Institutes of Health. The Dalai Lama was effusive in his praise for scientists. He said (and we quote): ‘I deeply admire my scientific friends’ (end of quote). The Dalai Lama pinpointed the open minded of scientists and what he described as a healthy skepticism about evidence and hyperbole. He also emphasized the capacity of scientists from around the world to work together and ignore differences in geography, race, ethnicity, gender, religion, and social class. The Dalai Lama noted these traits set scientists apart and provided an international, professional role model. However, the Dalai Lama also said he found some scientists were unhappy despite their gifts and intelligence. He briefly discussed the lack of inner peace among scientists with a sense of humor rather than admonishment. The Dalai Lama’s infectious laugh and self-deprecating humor delighted many NIH staff members who packed an auditorium to hear him. The Dalia Lama’s discussion about emotional inner peace led to broader remarks about the impact of maternal affection in the life long health of children. 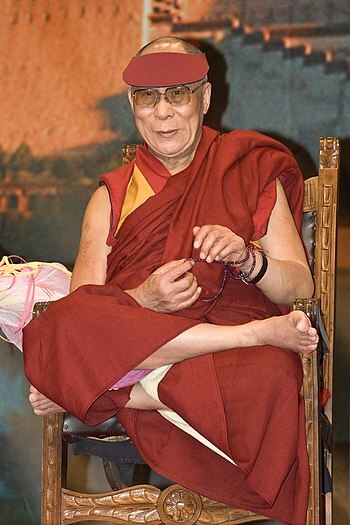 The Dalai Lama explained he was pleased that scientific evidence seemed consistent with his personal, long-standing observation of the vital role of maternal love and sincerity in the development of a child’s brain and emotional health. Similarly, the Dalai Lama noted that he had long observed a perceived link between maternal affection, attention, and sincerity for their children and the development of life long compassion for others. 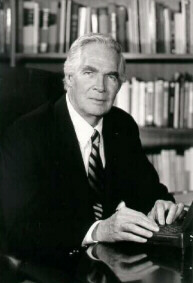 He encouraged behavioral and other scientists to further assess the extent of this relationship. The Dalai Lama also was moved by a series of drawings from young patients at NIH’s Children’s Inn and underscored his appreciation for the artists. Similarly, he praised a project he saw at NIH’s Clinical Center that seeks to restore the ability to walk for young persons with Cerebral Palsy. In response to a question from NIH Director Francis Collins M.D., the Dalai Lama confessed he sometimes gets frustrated and irritated – and even occasionally loses his temper. For example, he explained he became angry once during an interview when a New York Times columnist asked him four times to describe his probable legacy. Although the Dalai Lama noted he believed he answered the question the first time, the story revealed even renowned spiritual leaders sometimes can get cross. It also deftly reminded the audience there always is room for improvement in how we manage our lives and work. Relaxation techniques include a number of practices such as progressive relaxation, guided imagery,biofeedback, self-hypnosis, and deep breathing exercises. The goal is similar in all: to consciously produce the body’s natural relaxation response, characterized by slower breathing, lower blood pressure, and a feeling of calm and well-being. Relaxation techniques (also called relaxation response techniques) may be used by some to release tension and to counteract the ill effects of stress. Relaxation techniques are also used to induce sleep, reduce pain, and calm emotions. This fact sheet provides basic information about relaxation techniques, summarizes scientific research on effectiveness and safety, and suggests sources for additional information. Relaxation techniques may be an effective part of an overall treatment plan for anxiety, depression, and some types of pain. Some research also suggests that these techniques may help with other conditions, such as ringing in the ears and overactive bladder. However, their ability to improve conditions such as high blood pressure and asthma is unclear. Relaxation techniques are generally safe. Do not use relaxation techniques to replace scientifically proven treatments or to postpone seeing a health care provider about a medical problem. Relaxation is more than a state of mind; it physically changes the way your body functions. When your body is relaxed breathing slows, blood pressure and oxygen consumption decrease, and some people report an increased sense of well-being. This is called the “relaxation response.” Being able to produce the relaxation response using relaxation techniques may counteract the effects of long-term stress, which may contribute to or worsen a range of health problems including depression, digestive disorders, headaches, high blood pressure, and insomnia. BBC – Future – Body bacteria: Can your gut bugs make you smarter? BBC – Future – Body bacteria: Can your gut bugs make you smarter?. The bacteria in our guts can influence the working of the mind, says Frank Swain. So could they be upgraded to enhance brainpower? I have some startling news: you are not human. At least, by some counts. While you are indeed made up of billions of human cells working in remarkable concert, these are easily outnumbered by the bacterial cells that live on and in you – your microbiome. There are ten of them for every one of your own cells, and they add an extra two kilograms (4.4lbs) to your body. Far from being freeloading passengers, many of these microbes actively help digest food and prevent infection. And now evidence is emerging that these tiny organisms may also have a profound impact on the brain too. They are a living augmentation of your body – and like any enhancement, this means they could, in principle, be upgraded. So, could you hack your microbiome to make yourself healthier, happier, and smarter too? “Diet is perhaps the biggest factor in shaping the composition of the microbiome,” he says. A study by University College Cork researcherspublished in Nature in 2012 followed 200 elderly people over the course of two years, as they transitioned into different environments such as nursing homes. The researchers found that their subjects’ health – frailty, cognition, and immune system – all correlated with their microbiome. From bacterial population alone, researchers could tell if a patient was a long-stay patient in a nursing home, or short-stay, or living in the general community. These changes were a direct reflection of their diet in these different environments. “A diverse diet gives you a diverse microbiome that gives you a better health outcome,” says Cryan. American teens report experiences with stress that follow a similar pattern as adults, according to a new survey released today by the American Psychological Association (APA). In fact, during the school year, teens say their stress level is higher than levels reported by adults in the past month. For teens and adults alike, stress has an impact on healthy behaviors like exercising, sleeping well and eating healthy foods. Findings from Stress in America™: Are Teens Adopting Adults’ Stress Habits?, which was conducted online by Harris Interactive Inc., (on behalf of APA) among 1,950 adults and 1,018 teens in the U.S. in August 2013, suggest that unhealthy behaviors associated with stress may begin manifesting early in people’s lives. Teens report that their stress level during the school year far exceeds what they believe to be healthy (5.8 versus 3.9 on a 10-point scale) and tops adults’ average reported stress levels (5.8 for teens versus 5.1 for adults). Even during the summer — between Aug. 3 and Aug. 31, 2013, when interviewing took place — teens reported their stress during the past month at levels higher than what they believe is healthy (4.6 versus 3.9 on a 10-point scale). Many teens also report feeling overwhelmed (31 percent) and depressed or sad (30 percent) as a result of stress. More than one-third of teens report fatigue or feeling tired (36 percent) and nearly one-quarter of teens (23 percent) report skipping a meal due to stress. Despite the impact that stress appears to have on their lives, teens are more likely than adults to report that their stress level has a slight or no impact on their body or physical health (54 percent of teens versus 39 percent of adults) or their mental health (52 percent of teens versus 43 percent of adults). [Reblog] Are green spaces happy places? By accessing information about people moving to or from greener areas and following those people for 3 years after their move, the new study reported that moving to a greener area not only led to an improvement in mental health, but that this was maintained over time. This positive effect of green space received coverage in a number of media outlets, including the Daily Mail, Guardian, and BBC News, for example. After years of state spending cuts, mental health budgets increased in 37 states this year, according to a new report by the National Alliance on Mental Illness. “Arguably the most notable development was that Texas increased mental health spending by $259 million over two years, the largest increase in its history,” NAMI said in a statement accompanying the report. South Carolina, which had cut mental health programs the deepest in recent years, was also among those states to increase funding this year. Overall, the increased investment in mental health, spurred in part by the deadly shootings last year in Aurora, Colo., and Newtown, Conn., represents a dramatic reversal from recent years. Between 2009 and 2012, state spending in mental health services dropped by $4.35 billion. According to NAMI, only six states decreased mental health funding this year – Alaska, Wyoming, Nebraska, Louisiana, North Carolina and Maine. 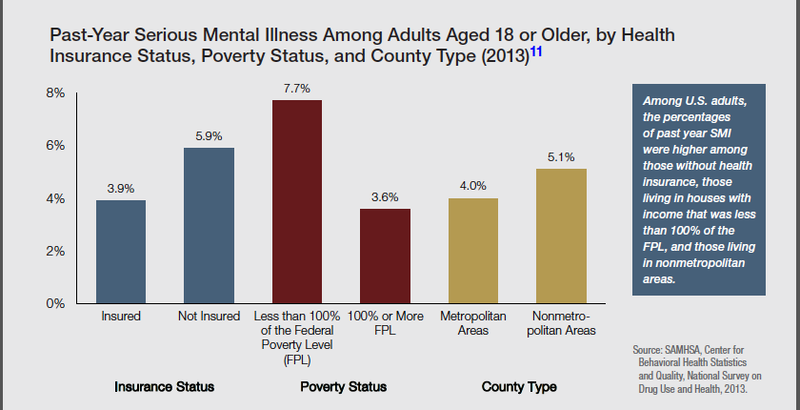 Aside from money, the NAMI report said states enacted other measures related to mental health. Five states passed legislation to improve the early identification of mental illness in children and youth. Seventeen states adopted laws to tighten restrictions on gun ownership by those considered dangerously mentally ill. And 19 states tinkered with laws pertaining to court-ordered treatment of those with mental illness. Non-specialist health workers are beneficial in providing treatment for people with mental, neurological and substance-abuse (MNS) problems in developing countries — where there is often a lack of mental health professionals — according to a new Cochrane review. Researchers, led by the London School of Hygiene & Tropical Medicine, say non-specialist health workers (such as doctors, nurses or lay health workers) not formally trained in mental health or neurology, and other professionals with health roles, such as teachers, may have an important role to play in delivering MNS health care. The study is the first systematic review of non-specialist health workers providing MNS care in low- and middle-income countries. After examining 38 relevant studies from 22 developing countries, researchers found that non-specialist health workers were able to alleviate some depression or anxiety. For patients with dementia, non-specialists seemed to help in reducing symptoms and in improving their carers’ coping skills. Non-specialists may also have benefits in treating maternal depression, post traumatic stress disorder as well as alcohol abuse, though the improvements may be smaller. Check with a local academic, health/medical, or public library for free or low cost access to full text. Payer and Payment Mechanisms: expenditures and sources of funding for behavioral health services. No other HHS publication provides this type of comprehensive information regarding behavioral health services delivery in the U.S. 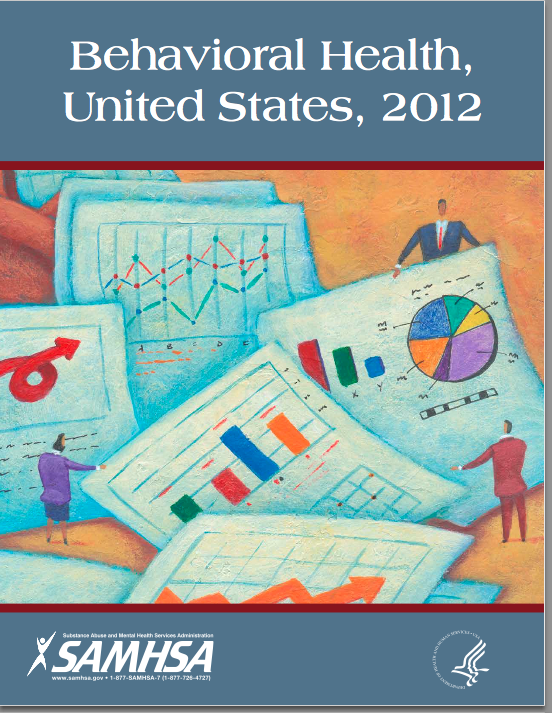 This publication is the only available comprehensive source of national-level statistical information on trends in both private and public sector behavioral health services, costs, and clients. Drawing on 40 different data sources, this publication also includes State-level data, and information on behavioral health treatment for special populations such as children, military personnel, nursing home residents, and incarcerated individuals. Commuting’s Hidden Cost – NYTimes.com. Millions of Americans like her pay dearly for their dependence on automobiles, losing hours a day that would be better spent exercising, socializing with family and friends, preparing home-cooked meals or simplygetting enough sleep. The resulting costs to both physical and mental healthare hardly trivial. 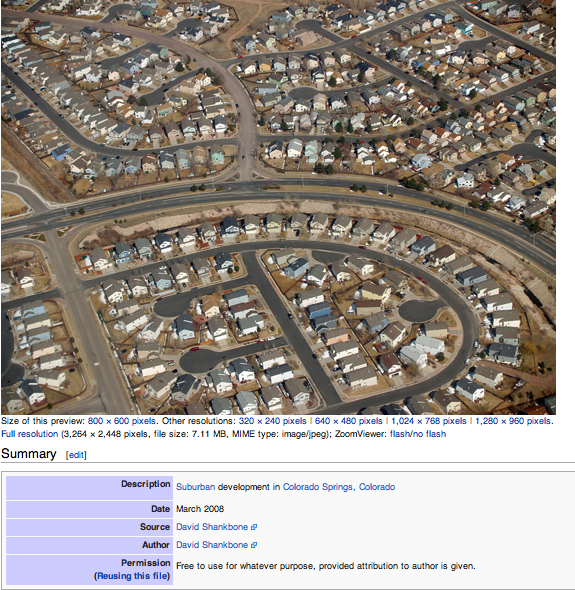 Suburban sprawl “has taken a huge toll on our health,” wrote Ms. Gallagher, an editor at Fortune magazine. “Research has been piling up that establishes a link between the spread of sprawl and the rise of obesity in our country. Researchers have also found that people get less exercise as the distances among where we live, work, shop and socialize increase. Being able to regulate your emotions is important for well-being, but new research suggests that a common emotion regulation strategy called “cognitive reappraisal” may actually be harmful when it comes to stressors that are under our control. The study is published in Psychological Science, a journal of the Association for Psychological Science. There are times where I believe medications are the only answer to moderate to severe mental conditions. However, as one of the comments stated, is the exponential increase in diagnoses largely due to the influence of BigPharma??? 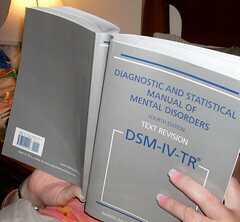 The American Psychiatric Association recently published a new version of the Diagnostic and Statistical Manual (DSM). The DSM-5 is what medical, mental health, and chemical dependency professionals use to diagnose developmental, mental health, substance abuse and dependence, learning, and personality “disorders.” Now in its 5th edition, the DSM was first published in 1952. At that time, the DSM was 129 pages containing 106 diagnoses. Now, 61 years later, the DSM-5 consists of approximately 950 pages and roughly 375 diagnoses. The DSM-5, while researched far more than previous editions, is based on the medical model or the model of disease. Simply put, the medical model finds the causes of disease and illness and then prescribes a treatment to cure the disease or illness. This means a person has a pathology or pathogen that needs to be treated and cured. And what’s the number one treatment for all of these diagnoses? Medication. Well, I still don’t feel inclined to try any…despite my FB profile. Could psychedelics be healthy for you? The researchers found that lifetime use of psilocybin or mescaline and past year use of LSD were associated with lower rates of serious psychological distress. Lifetime use of LSD was also significantly associated with a lower rate of outpatient mental health treatment and psychiatric medicine prescription. The design of the study makes it impossible to determine exactly why the researchers found what they found. “We cannot exclude the possibility that use of psychedelics might have a negative effect on mental health for some individuals or groups, perhaps counterbalanced at a population level by a positive effect on mental health in others,” they wrote. Nevertheless, “recent clinical trials have also failed to find any evidence of any lasting harmful effects of psychedelics,” the researchers said, which supports the robustness of the PLOS ONE findings. The use of LSD, magic mushrooms, or peyote does not increase a person’s risk of developing mental health problems, according to an analysis of information from more than 130,000 randomly chosen people, including 22,000 people who had used psychedelics at least once. “After adjusting for other risk factors, lifetime use of LSD, psilocybin, mescaline or peyote, or past year use of LSD was not associated with a higher rate of mental health problems or receiving mental health treatment,” says Johansen. Here’s a scary fact: A single hospital admission for a mentally ill patient paid for by the taxpayer-financed state medical-assistance program costs more than a year of private outpatient care. It makes little financial sense, yet it happens every single day in America. Everyday, a mentally ill person is admitted to an ER in the throes of a psychiatric emergency, desperately needing care and having nowhere else to go. No psychiatrist, no therapist, no case manager, no nothing. So they rely on ER doctors and nurses- and tax payers. But after the patient gets emergency care, they are back on their own. Until it happens again. So why do these patients lack proper, long term psychiatric care that could provide regular treatment? Why do they end up in this endless cycle? The answer is simple, yet still disturbing- they have no health insurance. Psychiatrist Christine Montross wrote an article,”The Woman Who Ate Cutlery,” about this quandary that many mentally ill people who lack health insurance face on a regular basis. The article was featured in the New York Times on August 3, 2013. PROVIDENCE, R.I. — M is a 33-year old woman who swallowed silverware. Each time she ingested utensils, she went to the emergency room so that doctors could remove them from her esophagus and stomach. Then the hospital transferred M to the psychiatric unit, where she was assigned to my care. When I met M she had already been hospitalized 72 times. M’s case is dramatic. 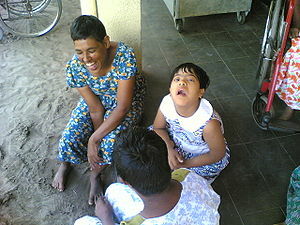 But she is one of countless psychiatric patients who have nowhere to turn for care, other than the E.R. It is well known that millions of uninsured Americans, who can’t afford regular medical care, use the country’s emergency rooms for primary health care. The costs — to patients’ health, to their wallets, and to the health care system — are well documented. Less visible is the grievous effect this shift is having on psychiatric care and on the mentally ill.
How could this cycle of self-injury be disrupted? M and other psychiatric patients who turn to emergency rooms for care need regular outpatient appointments with a doctor they know and trust who can monitor their symptoms and assess the efficacy of their often complicated medication regimens. Sadly, M’s history of recurrent hospital admissions is not uncommon. Recently I treated a 65-year-old man caught in a chronic cycle of homelessness and suicide attempts who had been in and out of the E.R. 246 times. If M had insurance, or enough money to pay out of pocket, she might see a therapist every week for an hour and a psychiatrist once or twice a month. For full article, go to nytimes.com. Music as a healing mechanism has been accepted for over 50 years. Music is a source of primal memory similar to that of smell. 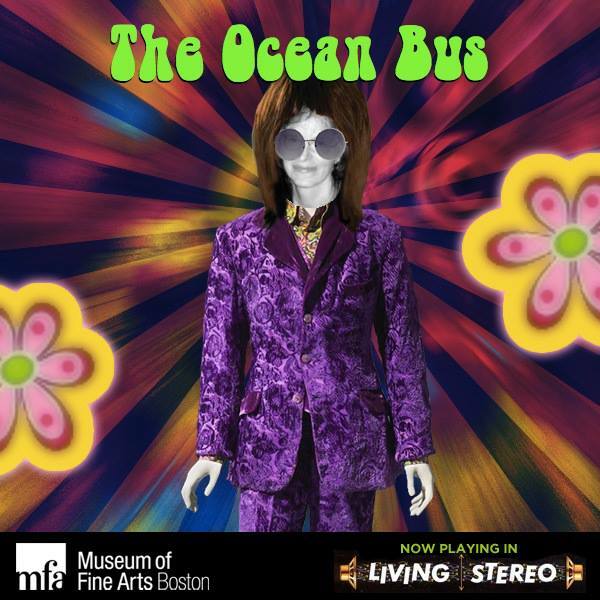 It has been used in brain injury patient management, as well as to promote wellness, manage stress alleviate pain, promote physical rehabilitation, and enhance memory in Alzheimer’s Disease patients.I have appreciated the power of music my whole life and as a physician and musician, realized its healing potential early on in my medical career. I burned CDs of the music chosen by my patients to be played during their surgery (usually performed with light sedation) and gave it to them as a surprise at their office follow-up visit. I will lightly touch on some reasons why music would be a great digital health technology. 1. There are scientific studies to provide evidence of efficacy. There are very few digital health technologies that are mobile technologies which have been proven to be efficacious. Since music has been digital for decades, it is a natural for adoption as a mobile health tech tool. Here’s a nice bibliography on the uses of music therapy. Areas such as mental health, special education and Autism, and pain management have been subjects of studies. The researchers found that prisoners after a ten-week yoga course reported improved mood, reduced stress and were better at a task related to behaviour control than those who continued in their normal prison routine. If yoga is associated with improving behaviour control, as suggested by the results of the computer test, there may be implications for managing aggression, antisocial or problem behaviour in prisons and on return to society, the researchers note — though this is not measured in this initial study. The New DARE–Drug Abuse Reliant Education. An anonymous California superintendent pontificated that “diagnosis rates of A.D.H.D. have risen as sharply as school funding has declined.” Poor children are being prescribed stimulants at increasing rates, and Medicare is paying the bill. If we are not directly funding public education in this country, we are indirectly doing so in efforts to respond to the problem…. NIMH · Mental Disorders as Brain Disorders: Thomas Insel at TEDxCaltech. A rethink is needed in terms of how we view mental illness, stated National Institute of Mental Health Director Thomas Insel, M.D., in a recent TEDx talkat the California Institute of Technology (Caltech) in Pasadena. ..Fairfield Hills Hospital [was] a state run mental health facility located in Newtown, about 3 miles from Sandy Hook Elementary School. The hospital closed its doors in 1995. What subsequently happened to Fairfield Hills Hospital is largely emblematic of what had befallen mental health care and in another sense, public funding in America. The soaring expenditures of maintaining grand inpatient mental health facilities, and maintaining thousands of employee benefits including generous health care and pensions became increasingly difficult to continue in the face of a decreasing tax base. This coincided with the decreasing emphasis on institutionalization and greater emphasis on community based models of care …. Published in the open-access journal, Frontiers in Psychiatry, on January 25th, 2013, the review of more than one hundred studies focusing on 16 high-quality controlled studies looked at the effects of yoga on depression, schizophrenia, ADHD, sleep complaints, eating disorders and cognition problems. Found this while “surfing” the Institute of Medicine Web page (the primary source for an article in one of my RSS feeds). I think I share a concern with gun violence with many of you dear readers.There has to be a better way to prevent gun violence than simply arming more folks. For example, a school system to the west of my hometown of Toledo, OH believes arming its janitors will curb violence. (Montpelier schools OKs armed janitors***). My gut reaction? If I had children in the school I would pull them out. Homeschool them if there were no other ways to educate them. And if the teachers were armed? Same reaction. Meanwhile I’m going to be participating in a [local] Community Committee Against Gun Violence (MoveOn.org). For the past several years I’ve been very concerned about gun violence. Time to start to do something…hopefully not too late. Yes, this webcast might be viewed as just another talking heads exercise. I am hoping some good will come out of it. If nothing else, keep a conversation alive on how to address prevention of violence through nonviolence. This workshop will be webcast. Register to attend in-person or register to watch the webcast. Evidence shows that violence is not inevitable, and that it can be prevented. Successful violence prevention programs exist around the world, but a comprehensive approach is needed to systematically apply such programs to this problem. As the global community recognizes the connection between violence and failure to achieve health and development goals, such an approach could more effectively inform policies and funding priorities locally, nationally, and globally. The Institute of Medicine (IOM) will convene a 2-day workshop to explore the evidentiary basis for violence prevention across the lifespan and around the world. The public workshop will be organized and conducted by an ad hoc committee to examine: 1) What is the need for an evidence-based approach to violence prevention across the world? 2) What are the conceptual and evidentiary bases for establishing what works in violence prevention? 3) What violence prevention interventions have been proven to reduce different types of violence (e.g., child and elder abuse, intimate partner and sexual violence, youth and collective violence, and self-directed violence)? 4) What are common approaches most lacking in evidentiary support? and 5) How can demonstrably effective interventions be adapted, adopted, linked, and scaled up in different cultural contexts around the world? The committee will develop the workshop agenda, select and invite speakers and discussants, and moderate the discussions. Experts will be drawn from the public and private sectors as well as from academic organizations to allow for multi-lateral discussions. Following the conclusion of the workshop, an individually-authored summary of the event will be prepared by a designated rapporteur. *** I did respond to the newspaper article. The response is online. I am expecting some rather strong responses, perhaps about how naive I am (sigh). The larger economic environment during infancy may be associated with subsequent substance use and delinquent behavior during adolescence, according to a report published Online First by Archives of General Psychiatry, a JAMA Network publication. 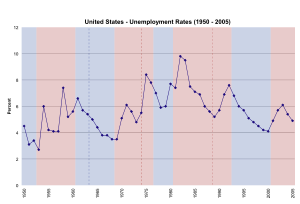 “The results demonstrate a strong correlation between the unemployment rate during infancy and subsequent behavioral problems. This finding suggests that unfavorable economic conditions during infancy may create circumstances that can affect the psychological development of the infant and lead to the development of behavioral problems in adolescence,” the authors note. According to the study results, exposure to a 1 percent deviation from mean regional unemployment rates at the age of 1 year was associated with an increase in the odds ratios of engaging in marijuana use (1.09), smoking (1.07), alcohol use (1.06), arrest (1.17), gang affiliation (1.09), and petty (1.06) and major theft (1.11). No significant associations were noted with the use of hard drugs and assaultive behavior, the results indicate. 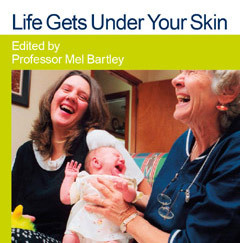 Researchers from the International Centre for Lifecourse Studies in Society and Health (ICLS) funded by the Economic and Social Research Council (ESRC) are releasing a plain English guide to their research demonstrating how ‘Life gets under your skin’ as part of the Economic and Social Research Council Festival of Social Science in November. A stable family life where children have secure routines, including being read to and taken on outings by their parents, is more likely to result in them being ready to take in what will be offered at school (school-readiness). Getting a flying start at school is one of the most important pathways towards wellbeing later in life. An environment free of constant bombardment with cigarette and alcohol advertisements helps adolescents avoid the first steps towards addiction. People with more friends have higher levels of health and wellbeing — and researchers have found this to be almost as important as avoiding smoking over the longer term. A supportive social network can make all the difference as people confront the problems of aging, helping them to maintain a high quality of life for many years. The booklet demonstrates how social policy related to family life, education, employment and welfare can have beneficial effects for the health of individuals. It also shows how multi disciplinary, longitudinal research can deliver findings valuable to the individual, society and the economy. BOSTON, MA—Achieving mindfulness through meditation has helped people maintain a healthy mind by quelling negative emotions and thoughts, such as desire, anger and anxiety, and encouraging more positive dispositions such as compassion, empathy and forgiveness. Those who have reaped the benefits of mindfulness know that it works. But how exactly does it work? Researchers at Brigham and Women’s Hospital (BWH) have proposed a new model that shifts how we think about mindfulness. Rather than describing mindfulness as a single dimension of cognition, the researchers demonstrate that mindfulness actually involves a broad framework of complex mechanisms in the brain. The S-ART framework explains the underlying neurobiological mechanisms by which mindfulness can facilitate self-awareness; reduce biases and negative thoughts; enhance the ability to regulate one’s behavior; and increase positive, pro-social relationships with oneself and others-all-in-all creating a sustainable healthy mind. In other words, these processes begin with an intention and motivation to want to attain mindfulness, followed by an awareness of one’s bad habits. Once these are set, a person can begin taming him or herself to be less emotionally reactive and to recover faster from upsetting emotions. “Through continued practice, the person can develop a psychological distance from any negative thoughts and can inhibit natural impulses that constantly fuel bad habits,” said David Vago, PhD, BWH Functional Neuroimaging Laboratory, Department of Psychiatry, and lead study author. Vago also states that continued practice can also increase empathy and eliminate our attachments to things we like and aversions to things we don’t like. “The result of practice is a new You with a new multidimensional skill set for reducing biases in one’s internal and external experience and sustaining a healthy mind,” said Vago. This research was supported by the Mind and Life Institute, Impact Foundation, and the National Center for Complementary and Alternative Medicine at the National Institutes of Health (5-R21AT002209-02). Central to that program is ensuring that participants leave custody already signed up for Social Security Disability and Medicaid, which immediately provides them with some income and health care and – crucial for them – psychiatric medication and counseling. 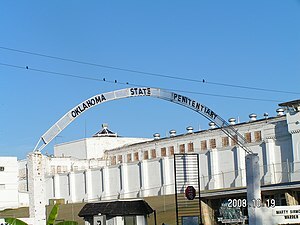 By comparison, unless they are disabled in some way, typical inmates leaving prison in Oklahoma do not qualify for either Social Security or Medicaid benefits. Usually, they are given a lift to the bus station, a ticket to anywhere they want to go in the state, $50, and sometimes a handshake. If the measure of success is keeping mentally ill ex-offenders out of prison, the Oklahoma Collaborative Mental Health Re-Entry Program has been a success. The recidivism rate over a three-year span for those participating in the program is 25.2 percent, compared to the 42.3 percent rate for a comparable prison population before the program started in 2007. 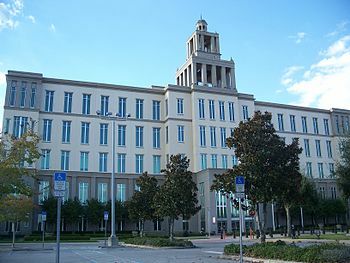 On the basis of those results, the program earned an innovation award this year from the Council of State Governments. Law enforcement is positive about the program as well. “Anything that keeps them on their medication and in treatment is a positive step,” says Phil Cotten, acting director of the Oklahoma Association of Chiefs of Police. 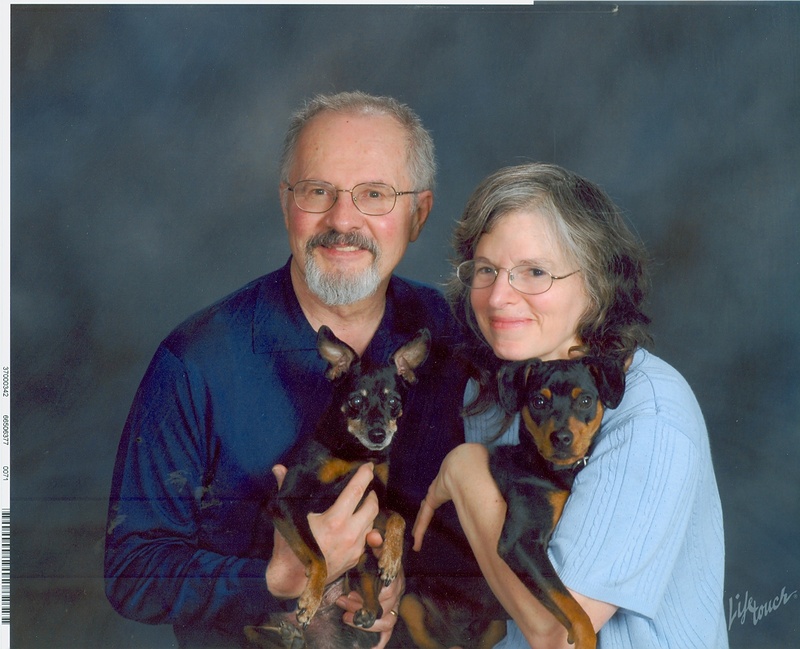 I’m Rob Logan, Ph.D. senior staff National Library of Medicine for Donald Lindberg, M.D, the Director of the U.S. National Library of Medicine. Here is what’s new this week in MedlinePlus. The Surgeon General’s National Strategy for Suicide Prevention is available at surgeongeneral.gov. Meanwhile, a helpful introduction to suicide symptoms is provided by the American Society of Suicidology in the ‘overviews’ section ofMedlinePlus.gov’s suicide health topic page. A helpful guide about what to do if someone is suicidal is provided by the Mayo Foundation for Medical Research and Education in the ‘prevention/screening’ section of MedlinePlus.gov’s suicide health topic page. The Mayo Foundation for Medical Research and Education also provides a helpful website, ‘Considering suicide? How to Stay Safe and Find Treatment’ in the ‘coping’ section of MedlinePlus.gov’s suicide health topic page. MedlinePlus.gov’s suicide health topic page contains links to the latest pertinent journal research articles, which are available in the ‘journal articles’ section. Links to related clinical trials that may be occurring in your area are available in the ‘clinical trials’ section. From the suicide health topic page, you can sign up to receive email updates with links to new information as it becomes available on MedlinePlus. To find MedlinePlus.gov’s suicide health topic page, type ‘suicide’ in the search box on MedlinePlus.gov’s home page, then, click on ‘Suicide (National Library of Medicine).’ Links to health topic pages devoted to depression, mental health and behavior, as well as social/family issues are accessible within ‘related topics’ on the right side of MedlinePlus.gov’s suicide health topic page. As the Surgeon General’s report notes, improving prevention to offset a sobering rate of suicide is gaining new momentum in medicine and public health. We wish the Surgeon General’s National Strategy for Suicide Prevention every success. Before I go, this reminder… MedlinePlus.gov is authoritative. It’s free. We do not accept advertising …and is written to help you. Please read the entire article, there are many factors that need to be “teased out” in future studies (as the author emphasizes). It’s a common lament among parents: Kids are growing up too fast these days. Parents worry about their kids getting involved in all kinds of risky behavior, but they worry especially about their kids’ forays into sexual relationships. And research suggests that there may be cause for concern, as timing of sexual development can have significant immediate consequences for adolescents’ physical and mental health. But what about long-term outcomes? How might early sexual initiation affect romantic relationships in adulthood? It seems there is still debate (see related articles). One in every two cases of post-traumatic stress disorder (PTSD) in soldiers remains undiagnosed. This is the conclusion reached by a working group led by Hans-Ulrich Wittchen et al. They report their study in the current issue of Deutsches Ärzteblatt International (Dtsch Arztebl Int 2012; 109(35): 559), which is a special issue focusing on the prevalence of psychological stress in German army soldiers. In a second original article, results reported by Jens T Kowalski and colleagues show that more female soldiers contact the psychosocial support services provided by Germany’s armed forces than their male colleagues (Dtsch Arztbl Int 2012; 109 (35): 559). Wittchen et al. draw attention to the fact that thus far no information has been available on how commonly soldiers have traumatic experiences during deployments to Afghanistan and develop PSTD. In their study, 85% of all soldiers deployed overseas reported at least one distressing event, but usually several such events. Overseas deployment is associated with twice or four times the risk of PTSD for soldiers. In international comparison, the prevalence of PTSD is notably lower in German soldiers, at 2.9%, than in soldiers from other countries who are deployed in the same regions. However, the estimated proportion of undiagnosed and untreated cases of PTSD is 45%. Kowalski et al. explain that it is not only Afghanistan from where soldiers return in a traumatized state but also Kosovo. The number of Kosovo returnees with mental problems in their study increased significantly compared to the number of traumatized soldiers returning from Afghanistan. The study is based on hospital data of all German army psychiatric wards; these data evaluated the psychiatric morbidities between January 2010 through June 2011. The most common diagnoses were adjustment disorders, PSTD, and mild and moderate depressive episodes. When isolation occurred during a “critical period,” starting three weeks after birth, cells called oligodendrocytes failed to mature in the prefrontal cortex, a brain region important for cognitive function and social behavior. As a result, nerve fibers had thinner coatings of myelin, which is produced by oligodendrocytes, and the mice showed impairments in social interaction and working memory. A few weeks ago I was brought in to speak to the staff of a local university. I gave a two hour workshop, which is even more fun for me than giving a keynote as I get to interact personally with the audience and draw their stories out. One of the sections of the workshop was about listening to your body. Every person’s body “speaks” to them in a different way; it’s important to pay attention to and learn to understand and interpret your body’s language. When your life is off track, your body will let you know. It starts small, whispering to you through minor ailments such as suddenly developing a rash like eczema, or getting mild tension headaches. If you don’t pay attention and make adjustments it will get louder. You might start catching every cold that’s around, or end up with pneumonia. This isn’t to say that you necessarily caused any and every medical condition you might end up with; there will always be some health situations that we have no explanation for. Yet there’s no question that when you’re out of balance in your life it’s perceived by your body as a stressor, and that can lead to all kinds of secondary consequences (and physical alarm bells). It’s essential to pay attention to this. While speaking at that university, I asked the audience members if they had any examples of a time their body let them know that something in their life had to change. A small, pleasant-faced woman raised her hand. Chronic excess stress could trigger diabetes in a variety of ways: reaching for sugary snacks or other poor food choices to temporarily calm and comfort; lack of time to exercise and maintain a healthy weight; being chronically sleep-deprived (even brief sleep deprivation triggers a pre-diabetic state); or having constantly elevated stress hormones that raise blood sugar. I asked her what the circumstances were that had made her life so stressful.